The George Jenkins Eagles on the field at the National High School Invitational in Cary, North Carolina. Anybody can start anything, but champions always finish what they started. This is the mindset that has evolved throughout the George Jenkins Eagles baseball team. The program has continually grown over the past five years under manager Chad Crosby, and the Eagles recent performance in the National High School Invitational at the Major League Baseball Spring Training Complex in Cary, Nroth Carolina, has opened many more eyes all over the country. Being a rare public school in the tournament, the Eagles went 3-1 and nearly downed the two-time champs to make a run at the title themselves. Jenkins is ranked second in the Tampa Bay Power Rankings behind only undefeated, defending 4A state-champion Calvary Christian Clearwater, and the Eagles jumped up to third in the HSBN state rankings. Jenkins fell a game short of reaching the state Final Four a season ago in falling in the regional finals, and the team has returned hungrier than ever with a 13-2 record and a roster full of talented, versatile ball players. 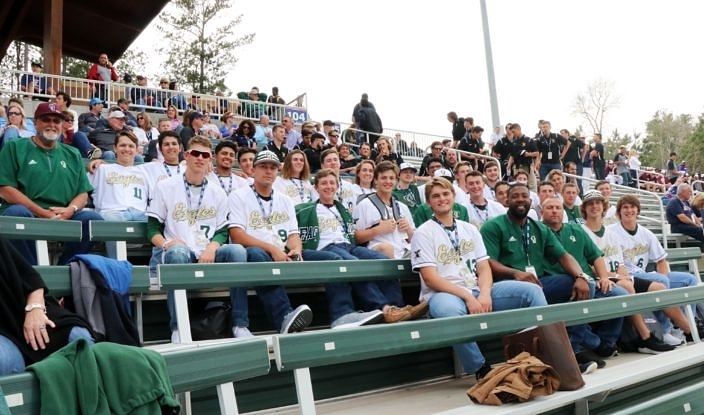 During the NHSI the team adopted the rally cry #WeBelong, and the Eagles quickly became a fan favorite to unseat some of the most established and most recognized high school baseball programs in the country. These are gratifying days for Crosby and the team, after all the hard work over the past five years that has helped bring the program to this level. Baseball is important to the community in Lakeland, and the Eagles have found themselves as sudden celebrities. It seemed the entire city of Lakeland was following the action and rooting for the team during the NHSI, and there were also between seventy and one hundred locals that came and rooted for the team in person. While this experience will be cherished and remembered forever, what cannot be forgotten is that this is only the beginning. The team is looking as dangerous as any to make a deep playoff run this year, and the response from the NHSI organizers is that they are welcomed and heavily encouraged to return to the tournament again in future seasons. The program name is getting around and becoming known in all baseball circles. The Eagles enjoy some baseball together at the NHSI between their own games. The entire process starts with JV guys in the summer. Those younger players work out five days a week, three days a week they are swimming at the YMCA, and then they go to the gym and work out. Two days they do field work and run hills like it is boot camp, flipping tires, carrying sledge hammers and flipping tires up hills. It is a very intense workout and suddenly these guys find themselves adding 25-30 pounds of muscle and are in the best shape of their lives. That is only the beginning. The Eagles are known for their stature just as much for their talent, which is just another example of the recognition they are earning and reputation they have created and are living up to. Yet there is never time to sit back and feel content, as their peers at the NHSI reminded them. Not that the Eagles were overly concerned with their opponents. They have excelled by allowing the individuals to do things within their individual routines, and rather than conduct a synchronized warm-up stretch or carry themselves like a military unit they let the baseball on the field reflect what they are when they are playing baseball together. 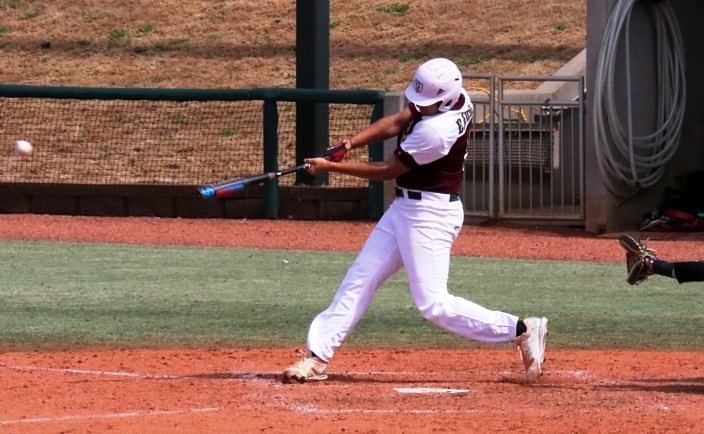 Senior Brandt Sundean went 7-for-11 with two doubles and five RBIs during action at the NHSI tournament. The players and coaches work outstanding together. The coaching staff has so many different personalities that they can interact with every single player. Most of the coaches have been with Crosby since the beginning, or even longer. 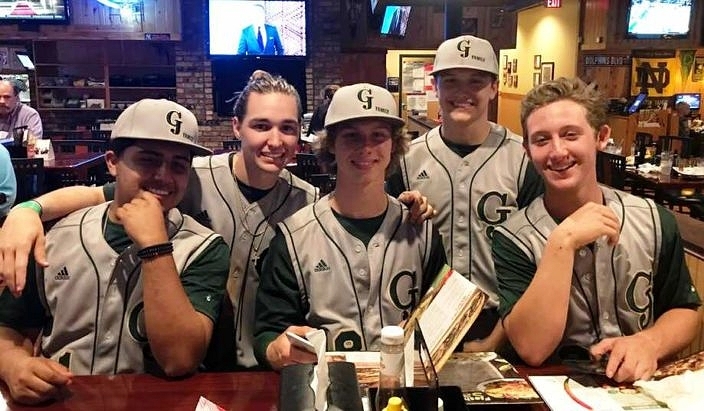 The staff consists of Hitting Coach Cris Allen, Fielding Coach Alex Angulo, Defensive Coach Joel Frazer, Pitching Coach Ben Ally and longtime Assistant Coach Tim Shields, who has been on staff for all 25 years of George Jenkins baseball. That camaraderie stretches right down to the players, which was also reflected in the enjoyment they had all with one another during times of the trip spent off the baseball field out at dinner or enjoying another game together. Not all of the guys have been on the team through this entire process, but the way they run together like a family one would never know. While the team truly functions as a family, what sometimes gets lost in things is the sacrifice coaches make during baseball season in being away from their own families so much. Coach Crosby jokes that his wife, Erin, is a single mom from January to June every year. “I couldn’t do what I do if I didn’t have her at home,” Crosby admitted. With their own flock safely in the right hands, the coaches tend to their surrogate children in the program. Coach Crosby has made a habit of spending extra time with his players as they need it, often taking a player out to dinner for a real conversation and a chance to open up and try to find some help through the trials in life. Several members of the team celebrate a win together earlier this season. Another byproduct of all that hard work is the future it carves for themselves and for future players in the program. Close to 90% of the kids have gotten scholarship offers the last few years, and the program is quickly becoming known by college scouts to develop the type of players they are after. The memory and emotion that will forever stand out from the NHSI trip this year is the intensity and brotherhood the players expressed for each other. It was a big moment for their program and a huge experience for each of them individually, and it is that much more gratifying knowing that how they conducted themselves made all the difference in creating such an unforgettable experience.